Our mentors are friendly, experienced R developers who will help teach you new techniques and tricks. 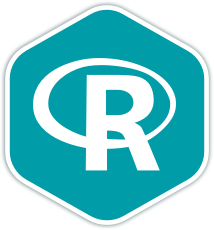 R is an open source, programming lingua franca of statistics. It was created by Ross Ihaka and Robert Gentleman at the University of Auckland, who wanted a language that was better suited to statistical computing and easier to use than comparable software designed by computer scientists. In addition to being a programming language, R is also an environment for interactive data analysis. Its powerful metaprogramming capabilities allow for magically succinct and concise functions. It can also integrate with high-performance programming languages like Fortran, C, and C++. These combined attributes provide an excellent environment for designing domain-specific languages. Ross Ihaka describes R as "a real demonstration of the power of collaboration". R has a fantastic community of both users and developers, who contribute to a massive (and rapidly growing) collection of packages for importing, manipulating and visualising data, as well as cutting edge methods for statistical modelling and machine learning. Once you join the R language track, you will receive support and feedback from our team of mentors. Here are the bios of a few of the mentors of this track. These are a few of the 34 exercises on the R track. You can see all the exercises here. The R Maintainers are the brains behind the R Track. They spend their spare time creating interesting and challenging exercises that we can all learn from. We are incredibly grateful for their hard work. Here are the bios of a few of the maintainers of this track. Get started with the R track. As with everything on Exercism, it's 100% free!